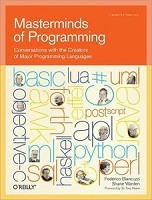 This book features exclusive interviews with the creators of several historic and highly influential programming languages. In this unique collection, you'll learn about the processes that led to specific design decisions, including the goals they had in mind, the trade-offs they had to make, and how their experiences have left an impact on programming today. It includes individual interviews with: Adin D. Falkoff: APL ; Thomas E. Kurtz: BASIC ; Charles H. Moore: FORTH ; Robin Milner: ML ; Donald D. Chamberlin: SQL; Alfred Aho, Peter Weinberger, and Brian Kernighan: AWK ; Charles Geschke and John Warnock: PostScript ; Bjarne Stroustrup: C++ ; Bertrand Meyer: Eiffel ; Brad Cox and Tom Love: Objective-C : Larry Wall: Perl ; Simon Peyton Jones, Paul Hudak, Philip Wadler, and John Hughes: Haskell ; Guido van Rossum: Python ; Luiz Henrique de Figueiredo and Roberto Ierusalimschy: Lua ; James Gosling: Java ; Grady Booch, Ivar Jacobson, and James Rumbaugh: UML ; Anders Hejlsberg: Delphi inventor and lead developer of C#.